Lunda Asmani, new budget director in New Canaan. 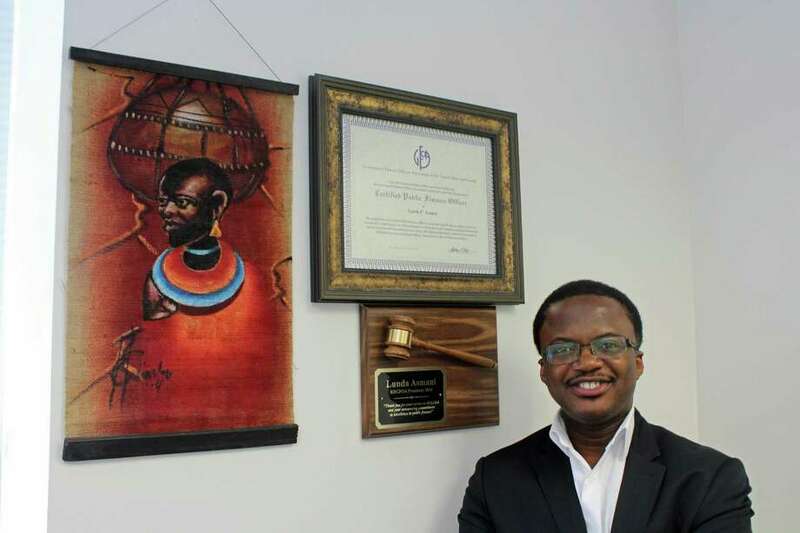 NEW CANAAN — Growing up with an economist for a father, Lunda Asmani would always see issues of The Economist and other financial papers scattered around the house. Asmani, 45, hails from Tanzania, a country in eastern Africa. With two parents who worked in the foreign service, Asmani traveled extensively and studied for brief periods of time in New York City, Belgium and Italy before going to Kansas for his graduate studies. His office in Norwalk City Hall is laid bare as he prepares to transition to New Canaan town hall. Only a couple of titles and a Tanzanian canvas painting adorn the wall behind his desk. As director of management and budgets at Norwalk, Asmani oversaw the city’s $354 million operating budget and $194 million five-year capital budget. When asked about the state of Connecticut’s budget, which saw a crisis last fiscal year, Asmani pointed out that towns like New Canaan and Norwalk collect 90 percent of their revenues from property taxes and only about five percent from state in aid. “Even when the state fluctuates, it’s about five percent and so these towns are fairly insulated,” Asmani, a Norwalk resident, said. The bulk of Asmani’s experience was in Kansas, where he worked in three different towns — Maize, Sedgwick and Newton — for around 20 years. He obtained his Master of Public Administration degree from Wichita State University in 2001. Sandra Dennies, who was recently made full-time chief financial officer, said she was looking forward to working with Asmani. An avid tennis player, Asmani is a member of New Canaan’s YMCA and hopes to join volunteer organizations in town once he has settled into his new gig. “I love serving the communities and being connected to volunteer and provide experience,” Asmani said. First Selectman Kevin Moynihan also extolled Asmani’s work experience. With his last day in Norwalk only this week, Asmani will take a brief break before heading to his new office later this month.